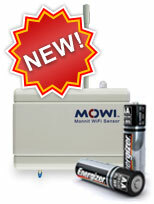 New MOWI™ Wi-Fi sensors work with any existing Wi-Fi network. All Monnit Wi-Fi sensors come with FREE basic online sensor monitoring and alerting through the iMonnit Online Monitoring System, providing access to all of your sensor data and alerts via SMS text or email if a user defined condition is met or exceeded. • Data logging feature if Wi-Fi networks are un-available. 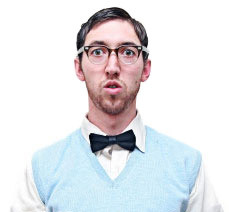 perform typical to standard Wi-Fi devices. 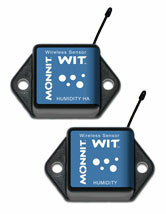 Monnit wireless humidity sensors allow you to monitor the relative humidity of air within a room or enclosure. Ideal for monitoring humidity within greenhouses, industrial spaces, museums, saunas and humidors. They can also be used for residential applications such as controlling mold, mildew or dust mites. User customization allows you to set the frequency of readings and the ability to set thresholds for alerts. The Monnit development team is always working on products that will enhance our current product offering based on customer needs. The Monnit wireless sensor system supports bi-directional communication which can be used to allow simple control function. Our development team is working on a new control unit that can be used to control low power servos and switches; ideal for data centers, sump pump control and other light industrial applications. If you would like to learn more about this product update or be notified when it becomes available, please email us at sales@monnit.com. Using Monnit wireless sensors provides peace of mind when it comes to knowing if any conditions come up at your business. We recommend using Monnit's affordable wireless open/closed sensors to monitor doors and windows for un-authorized access. We also recommend using Monnit's wireless temperature sensors and Monnit's wireless water sensors to monitor for potential temperature and water damage. 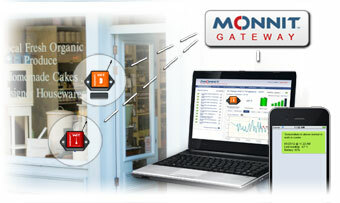 Protect Your Business Investment with Monnit Wireless Sensors! Setting up and using the New MoWi Wi-Fi Sensors. 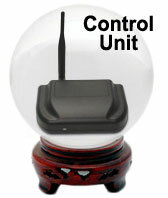 We have taken the time to make our new Wi-Fi sensor line the easiest wireless sensors to use yet. This tech-tip demonstrates the setup process for using these new sensors. For a complete video walkthrough of the setup process visit www.mowisensors.com. 1. Download and Run the MoWi Setup Application. Monnit Wi-Fi sensor setup application. • Launch the Wi-Fi setup application. • Create a new account if you are a new user or login if you already have an iMonnit account. 2. Download and Install the USB Cable Driver. • Download the driver from http://www.mowisensors.com/downloads/CP210x_VCP_Windows.zip. • Open the folder that was created and launch the appropriate driver installer. • Click "Run" then follow the on-screen instructions to complete the installation. • When finished, insert the USB side of the included cable into an available port on your PC. When inserted, your computer will automatically finish installing the USB driver. 3. Add Sensors To Your Wi-Fi Network and iMonnit Account. an authorized Wi-Fi network, then flash red if none is found. to show the sensor's information. 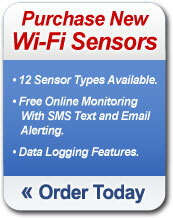 • Select the Wi-Fi network you want to use the sensors on and enter the security credentials. and select "Search for Networks". The field will update with all available wireless networks. Select the one you wish to use. using an open (non-secured) access, no pass phrase is needed. iMonnit online account. When the process is complete, you will see a successful operation pop-up. Click "OK" to close this window. It is now safe to unplug the USB cable from the Wi-Fi sensor.